Most of the alleged dangers of corsets are preventable if you just pay attention to what your body tells you. In fact, one of the great things about corsets is that they encourage a much stronger mind-body connection. In American society, women are subtly taught that they should be ashamed of their body and its natural functions (more on this later), but in a corset, you become intimately familiar with yourself in a new way. So, if you're feeling that your corset is too tight – loosen up! Think you need to take it off? Go for it! Feeling too much pressure on your waist? Tighten the ribs and hips, or switch to a corset with a milder shape that will support your anatomy. Adjust your lacing throughout the day. Skip a day or three. Our bodies change by the day or even the hour, so don't get bogged down by how you laced yesterday. The corset is not your boss. Don't let anyone tell you that you "have to" wear it for a certain number of hours, or laced to a particular reduction. Lace as tightly or as loosely as you feel like. Feeling lightheaded, nauseous, or overstuffed? You may find you adapt your eating habits around corseting. Often that means smaller, lighter, more frequent meals. Whatever signals your body is giving you, don't try to "push through." That said, I do advocate strongly for wearing a well-fitted corset! If you find yourself needing to consistently lace to a ( ) shaped gap, or a gap more than 4" wide, then there's a fit issue that should be addressed before you damage your corset. 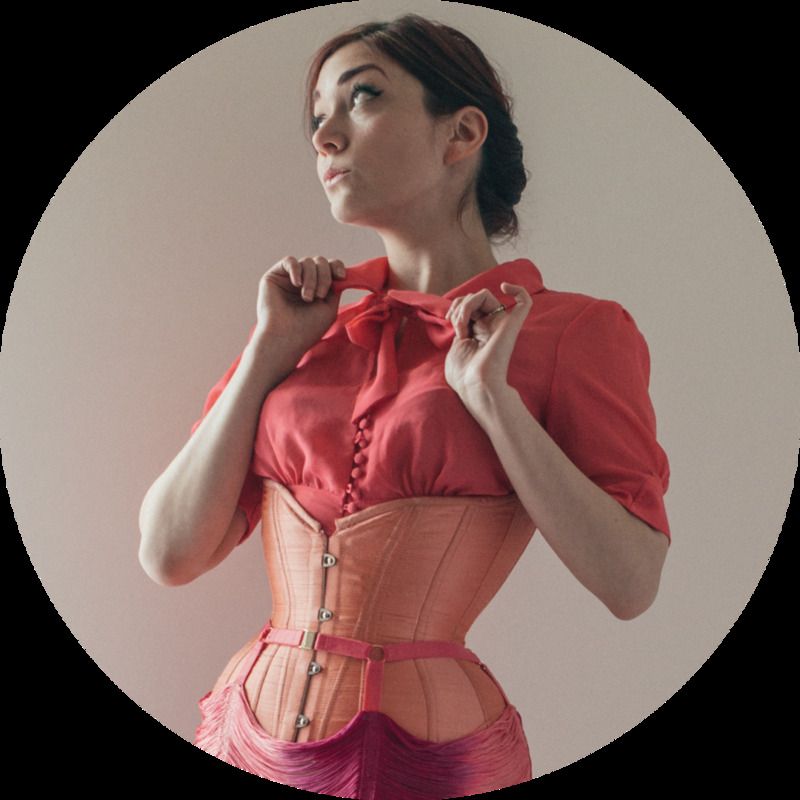 Quick guide to good fit: the corset should lay flush against your body, neither standing away nor cutting in. If you're wearing your corset as a support piece for a medical concern, do make sure that a compression garment won't exacerbate your condition. Do your research so you can allay any concerns your doctor may have if they aren't enlightened to corsetry yet.